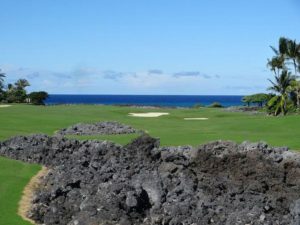 The Hualalai Club is an 850 acre residential development located on the Northwestern Coast of the Big Island, that sports many sporting venues such as tennis courts, volleyball courts and of course, not one, but two, 18-hole golf courses. 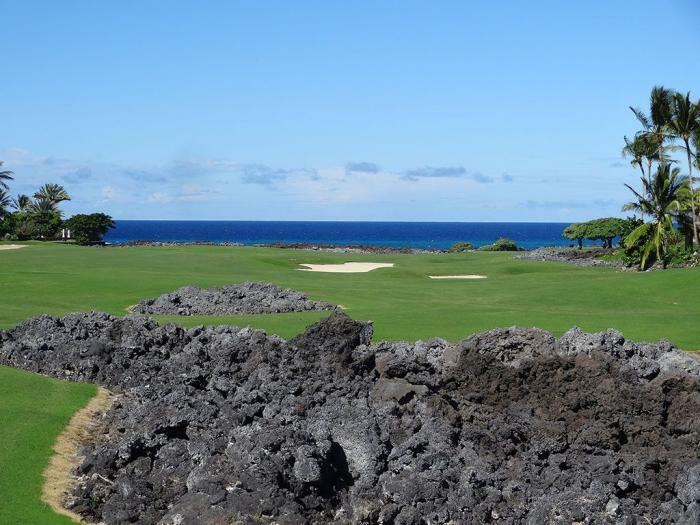 Two legendary architects were responsible for the Club’s current configuration, Tom Weiskopf and the incomparable Jack Nicklaus for whom the club represents his first foray on the Hawaiian Islands. After the Nicklaus course was completed in 1996, it became the host for the Mitsubishi Electric Championship Champions Tour every January. This Tournament is a PGA rated one and it is easy to see why. The Par-72 course combines everything to love about a course built by Jack Nicklaus, challenging holes, dynamic greens, stunning views, and world class service. Jack Nicklaus fully embraced the particular landscape of the island and did not shy away from it. The dramatic black rock of the lava fields can be seen everywhere. 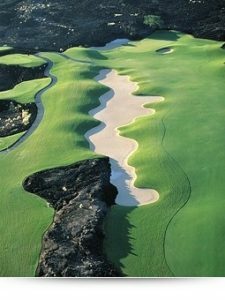 Nicklaus took special care to integrate the natural formations into the course. You do not see that much rock and rock formations on golf courses. Another aspect of the islands that Jack Nicklaus did not shy away from was the ocean. Much of the course, (mostly the back nine) has stunning shoreline holes and dramatic views of the Pacific Ocean. The Nicklaus course is open to the public, specifically guests of the Four Seasons Hualalai, but the course built by Weiskopf is reserved only for members of the club and their guests. 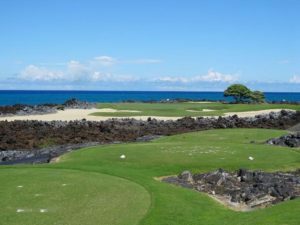 If reports are to be believed, it is quite the beautiful course, utilizing many of the islands unique geological features in the layout of the fairways and greens.